As a parent, you want to ensure that your child develops and maintains a healthy, beautiful smile with the right care at home and from their pediatric dentist in Birmingham. The foundation to reach this goal relies on their oral hygiene habits, but if you are not using the right products, your efforts may not produce the results you had hoped. In addition to their toothbrush, the toothpaste they use will help to prevent dental issues, like tooth decay and gum disease. However, there are several different options available, making it difficult to determine which is the best one. When picking a toothpaste, there are various aspects you must consider. As you walk down the oral care isle at your local store, there are several toothpastes that are available. To narrow down the selection, look for those that have the American Dental Association’s (ADA) Seal of Acceptance. Products that have earned it have undergone a rigorous screening process, which means they have achieved the gold standard for safety. Fluoride is known as “Nature’s Cavity Fighter” because it helps to strengthen the enamel to prevent tooth decay. Choose a toothpaste that contains it to promote the mineralization process of the teeth to keep them protected from cavities. In addition, the added strength will help to make them less susceptible to chipping and cracking. Many toothpastes, like those that contain whitening agents, can be abrasive. This can lead to tiny scratches on the surface of the teeth, which is damage to the enamel. To keep their smile strong and healthy, avoid those that cause a scratchy sensation when brushing. Children often view brushing as a chore and do not enjoy it, which is often due to the flavor of the toothpaste. To make it more appealing, choose one that contains a fun flavor, like bubblegum. However, be careful of artificial sweeteners. Now that you have found the perfect toothpaste, it is time to promote correct oral hygiene habits. Let your child pick a soft-bristled toothbrush that accommodates the size of their mouth. They need to brush at least twice a day for two minutes each session to thoroughly clean all surfaces of the teeth. In addition, they need to floss in between each tooth before going to bed at night. 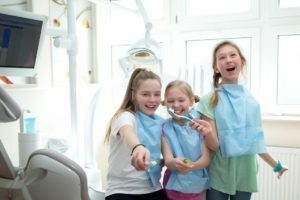 Their home oral hygiene habits are their first line of defense against dental issues, but they also need to see their children’s dentist in Birmingham twice a year for a cleaning and checkup. With the right care, you will ensure they develop and maintain a healthy smile. 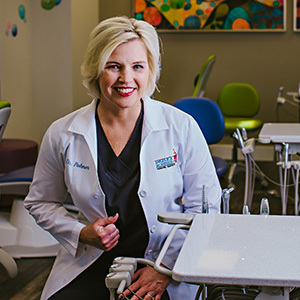 Dr. Angelica Rohner’s passion for helping children led her to earn her DMD degree from the University of Mississippi School of Dentistry and she received an advanced degree in Pediatric Dentistry through additional training. She helps to create healthy, beautiful smiles for infants and children through the teen years. If you have any questions about the best dental products for your child, contact her office today to schedule a consultation.